This giveaway is sponsored by Pawmiscuous and The Broke Dog. 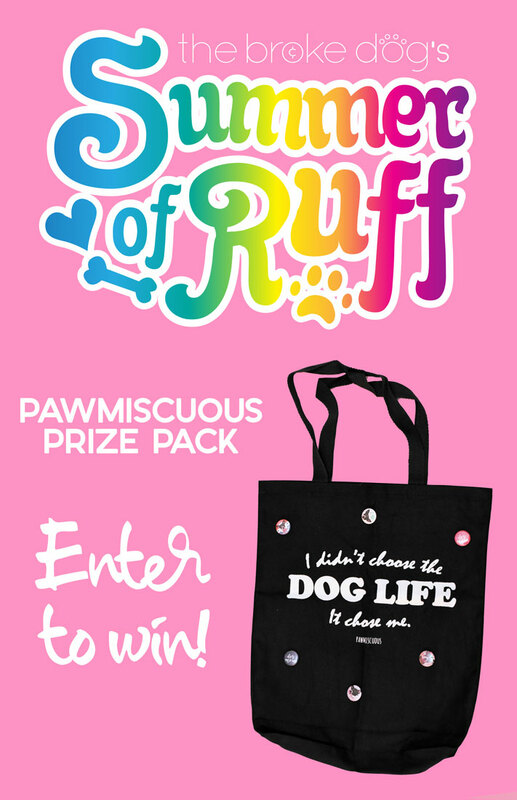 As part of our Summer of Ruff giveaway series, we’re giving away a Pawmiscuous Prize Pack this week! The prize pack includes a tote provided by Pawmiscuous as well as a pack of six buttons provided by The Broke Dog. You will win a prize pack of (1) “I Didn’t Choose The Dog Life, It Chose Me” tote provided by Pawmiscuous as well as (6) dog-themed 1″ button pins provided by The Broke Dog. 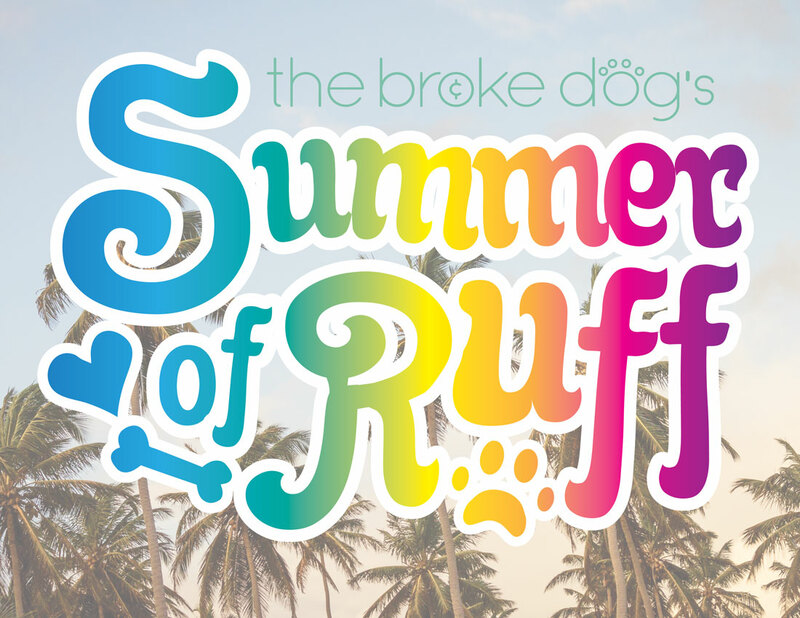 Welcome to Summer of Ruff, the Broke Dog’s weekly summer giveaway series! We’re celebrating the warmer weather by giving our readers the chance to win some great prizes. Why? Because we want to thank you for being AWESOME! We know that sometimes it can be hard to treat you or your dog when money is tight, so we want to help our followers have the best summer ever! Check back each Friday for a new chance to win, and also check out our other Summer of Ruff giveaways here. 11 years ago when I met my Husky at the shelter. I lost him in January – hardest thing in my life! I am picking up my new puppy today! A corgi named Grady. This tote would be awesome to carry puppy stuff around! I’m so sorry for your loss but am so excited for your new addition! ❤️ Good luck! That is the cutest tote I’ve ever seen!!! Isn’t it the best?! I have a shirt with the same design! I grew up with dogs and now have 9 rescues myself 🙂 The dog life has always been apart of me! When I was 13 🙂 my first pup (border collie mix) from the humane society. Had him until he was 12 going on 13, he sadly passed a few years ago, 6 months afterwards my current dog max joined my life. I could not bare to live with out one in my life. It’s too lonely. Too many dogs out there need someone to love and care for them. I agree! It was a hard few years before I was financially able to adopt Henry – now I can never not have a dog! The dog life chose me 10 years ago! Dog life literally chose me when we found a stray on the street that we adopted. I have had dogs my whole life. In my house it is more like my 2 dogs have a human because I will do anything for them. It choose me back in 1993 when I got my first puppy on my own. It has been a great thing, and I would do it all over again. i grew up with a Boston Terrier. i got a miniature schnauzer in college. now i have 3 little girls, all miniature schnauzers. i have always been a animal person, rode horses starting abt 5 or 6. the Boston Terrier was the same as as me. however, my Dad gave him away when he was 9. He loved the dog catcher and my mother had to go to court abt twice a wk. the dog catcher would sit at the corner of our house and entice Blackie to cross the line. so i would say all of my life. Love the dog mom button! Thank you! They’re going to be for sale soon, too! I have a few designs! I was chosen for the dog’s life about 20 years ago when my daughter brought home a stray dog that “followed” her home from school in Junior High. He was such a great dog that we can’t figure out why anyone would have given him up — we got no responses to our “Found Dog” posters, nor did we ever see anything indicating someone had lost him. After that, we were hooked and have had a dog ever since. I was born into the dog life forty years ago!! I’m currently owned by 3! As far back as I remember, I have always been a part of the dog life. My family growing up had at least 1 dog and when I became an adult I always had at least 1 dog. 2 Beagles, Lady Shasta and Miss Maizie are part of my family now. The doglife chose me as a child. The dog life chose me when I was a little girl. I always wanted a dog but was never allowed when I was a kid. My parents didn’t think I would take care of it. So I got my dog when I was older when she was 9 weeks old. She is now 11 years old. I can’t imagine life without a dog in it now! I had to be when I was a kid.. I’m sure that’s when it started for most of us. Just celebrated 5 year gotcha day anniversary last week!